A complete guide to the gorgeous Standard Poodle. Giving information, tips and advice for owners and prospective puppy buyers. Is A Standard Poodle Right For Me? The Standard Poodle is a noble, beautiful dog. This is a breed with a gorgeous curly coat and a great capacity to be a fun and active companion. The Poodle breed is the 8th most popular pedigree dog in America. They come in three sizes, Standard, Miniature and Toy. These different peoples are all categorised as the same breed, however there are some important variations between the types. For this reason we will be looking at the sizes in separate articles, to give you the relevant Standard Poodle information you are looking for. So let’s start by having a look at where the Standard Poodle comes from. The Poodle breed is thought to have been originally known as the ‘Pudel’, a German breed of water retriever. However, some people lay it’s land of origin as being from the French Barbet dog. What we do know is that this is an old breed, with a history stretching back to the 15th Century at least. The name Poodle is likely a derivation of the word ‘Pudel’ and the word ‘Puddle’, an association drawn from his water dog routes. It is thought that the distinctive show Standard Poodle cut has evolved from the way they were shaved by their hunter owners in the past. Who clipped their rear ends to make it easier for them to swim and retrieve water fowl. The bands left at their ankles are supposed to have kept their joints warm in the harsh waters. Whether this is correct is something that is frequently speculated upon, but does not seem to have a firm answer. What we do know is that these days Standard Poodles tend to be kept with an all over clip when used as gun dogs, and are only shaved in this extreme fashion by for the show ring. The American Kennel Club first recognised the Poodle as a breed in 1887. Although Poodles now come in three sizes, the first Poodles were probably most similar to the taller Standard Poodles than their shorter cousins. Standard Poodles are well proportioned dogs. They are tall, with even legs and backs, and a proud stature. Their eyes are dark ovals, and their eyes hang close to their heads. Their skulls are rounded, but with defined flat cheekbones. The overall impression is one of elegance and grace. Standard Poodle coats come in two different types, the curly or corded Standard Poodle. The curly Poodle coat is harsh and dense all over, with an even spread of fur. The corded Standard Poodle has a coat of tight cords. They will be longer on the head and body, but shorter on the ankles. Standard Poodles come in a fabulous range of colors. Standard Parti Poodles are also increasingly popular, but fairly rare. This color type is not currently specified in the show breed standards, but is proving very appealing to pet puppy buyers for it’s distinctive look. 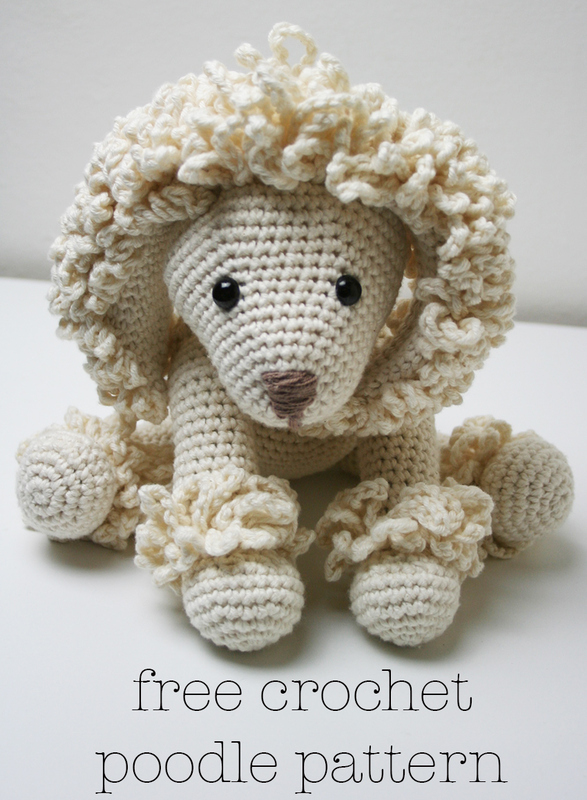 Crochet your own Poodle – find out how here! Standard Poodle breed standards give their height as being a minimum of 15 inches tall at the shoulder. Anything under this is classed as a Miniature Poodle. Standard Poodle height can be anywhere up to around 24 inches at the shoulder. The description for a Standard Poodle according to the Kennel Club differs from the other Poodle sizes only in terms of height. Everything else is the same. Standard Poodles usually weigh around 60 pounds, but there is scope for a big range of weights as their heights can vary considerably. You would not want your average Standard Poodle to weigh more than 70 pounds to be healthy. Standard Poodle care is very important. These are not low maintenance dogs. They require daily exercise, training, grooming and frequent company throughout the day. You should check your Poodle’s ears and eyes regularly to ensure that they are clean and clear. If you want to buy a Standard Poodle it is essential that you are prepared to commit to keeping their high maintenance coat in a good condition. Standard Poodles are a non-shedding breed. Their curly coats catch loose hairs and prevent the excessive molting that most other breeds of dog experience. This means that although the hairs they lose are dramatically reduced, they are caught within their existing coat. It is very important therefore to help your Standard Poodle to stay in good condition through regular grooming and clipping. The iconic image of a Poodle is with a classic show cut, where it is shaved to give the effect of having pom-poms of fur exposed. Most pet dog owners however will simply have their Standard Poodle clipped to an even length all over. You will need to have your Poodle clipped at least once every four weeks to keep it manageable. Use a dog grooming service that is experienced with Poodle fur. Between cuts take particular care to ensure that the coat is not getting into their eyes and irritating them or becoming matted around the feet or legs. Standard Poodles tend to be active, intelligent dogs. Whilst they have a reputation for being aloof, this is more a calm reserve with strangers. They are very loving and loyal to members of their family. This quiet reserve also means that they are likely to be less distracted by other people when you want them to focus on your when walking together. The Standard Poodle can be a sensitive dog, who will cringe or cower if you raise your voice to her. She is best handled gently, reflecting her own soft and adorable nature. Despite being a highly active dog, a well exercised Poodle will when at home be quite happy to relax and sleep next to you. They won’t race around the house and make a chilled out companion as long as they have had sufficient daily exercise. 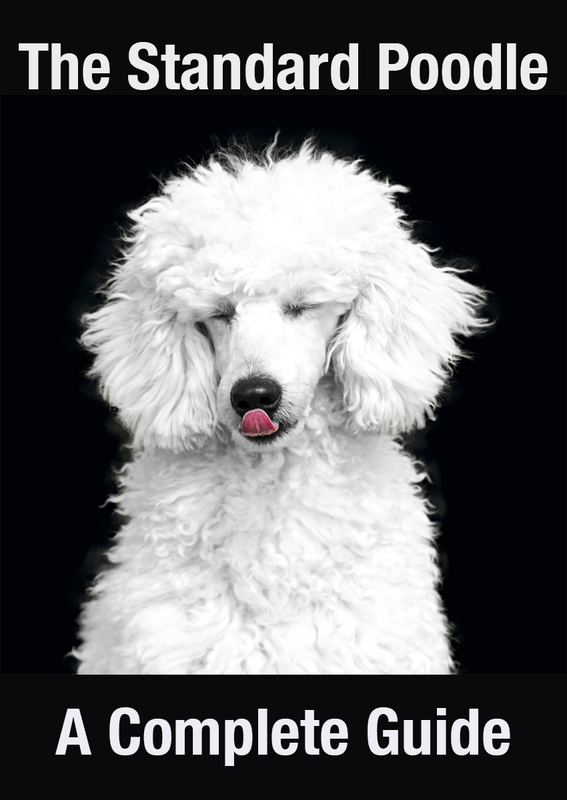 Standard Poodles are intelligent and active dogs. They need a lot of time and attention from their families. This is not a breed suited to homes where their human companions are out at work during the day, as they will quickly become bored and potentially destructive or depressed. They are best suited to very active homes, with a keen interest in training and the time to dedicate plenty of physical and mental energy to their friend. Standard Poodles generally get along well with calm, sensible children. They are gentle by nature, but also quite tall so can be physically imposing to a small kid. However, young Poodles much like any juvenile dog can be very bouncy. A lively young dog may need to be physically separated from a small child to prevent them from accidentally sending them flying. It is important to remember that any dog, however reliable they may seem, should be supervised around small children. Dogs and children can accidentally injure each other, and keeping a close eye will ensure that you avoid any potential problems or stress for the dog. Poodles’ gentle natures also make them a little sensitive to children’s sudden noises and unpredictable movements. They can have some guarding instincts, although these tend to be more in the vocal watchdog area. You can help to reduce their sensitivity through thorough puppy socialization. Socialising your Standard Poodle puppy is an important way to help ensure that she grows up into a confident, happy adult dog. This should begin from the day you bring her home at 8 weeks old. Carrying her until her vaccinations have been completed, take her outside to all the places you will want her to feel comfortable when she is older. Let her experience a variety of sites, sounds and smells. Make sure you have lots of visitors over to your home, and that they all make her feel happy and comfortable. Let her associate strangers with pleasant experiences, and she will be less likely to be wary of them approaching the house when she has grown up. Standard Poodles can be fans of their own voices. They tend to alert you to visitors, which is a trait that some families appreciate. If you are not a fan of barking, then make sure to never react to your dog woofing. The click for quiet technique can be very effective in reducing a noisy dog’s barking. Traditional Standard Poodle cuts are quite ostentatious, but this rather extravagant design hides a very clever and active, hard working dog. 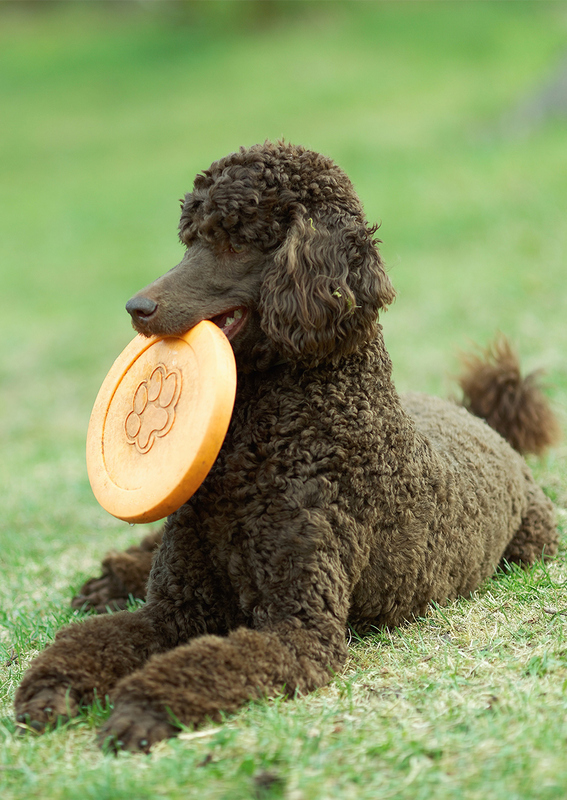 Standard Poodle training is something that both the dog and owner can really enjoy and benefit from. As originally working bred dogs, they excel at co-operating with their handlers and have a great capacity for physical activity. They learn very quickly and can be taught numerous tricks as well as taking part in a wide range of canine hobbies. As sensitive dogs, they work most effectively when trained using positive reinforcement methods. This will keep them happy and motivated throughout your sessions together, as well as increasing the strong bond between you. It is vital that you regularly exercise your Standard Poodle, if you want to keep him fit and happy. They will happily walk, jog, run or play fetch with you every day. This active dog loves getting outside and stretching his long legs. A well exercised Poodle will be a more relaxed companion when you get back home. Standard Poodle health can be very good, if you manage to avoid the genetic diseases that can cause problems for the breed. The best way to get a healthy adult Standard Poodle is to buy a puppy from a Poodle breeder that has where possible health tested both parents for the following potentially problematic disorders. Where health tests are unavailable you will need to ask the breeder about whether there is a history of the specific problem in either of the parents’ lines. Like many larger pedigree breeds of dog, the Standard Poodle can suffer from hip dysplasia. A condition where the a malformation of the hip joint causes osteoarthritis, pain and loss of movement in the dog. 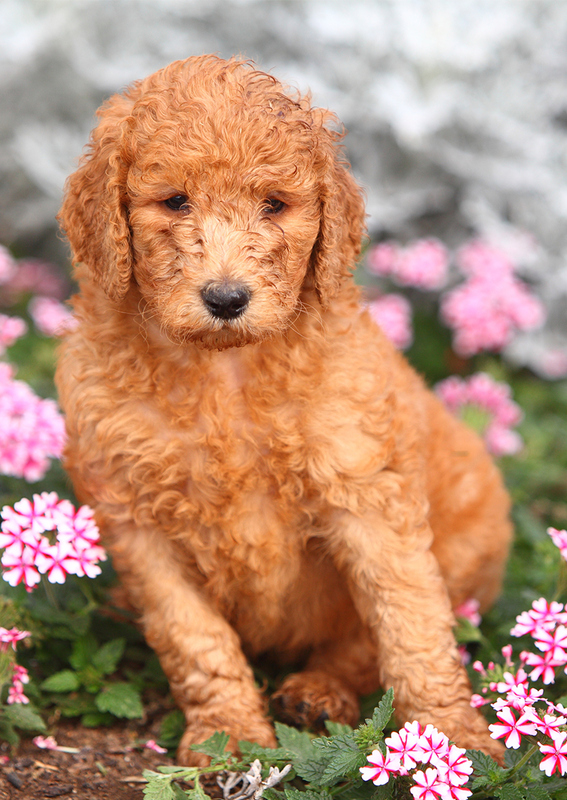 You can significantly reduce the chances of getting a Poodle with hip dysplasia by only buying a puppy from parents with good hip scores. In the US make sure both parents’ hips are graded ‘Excellent’ or ‘Good’. 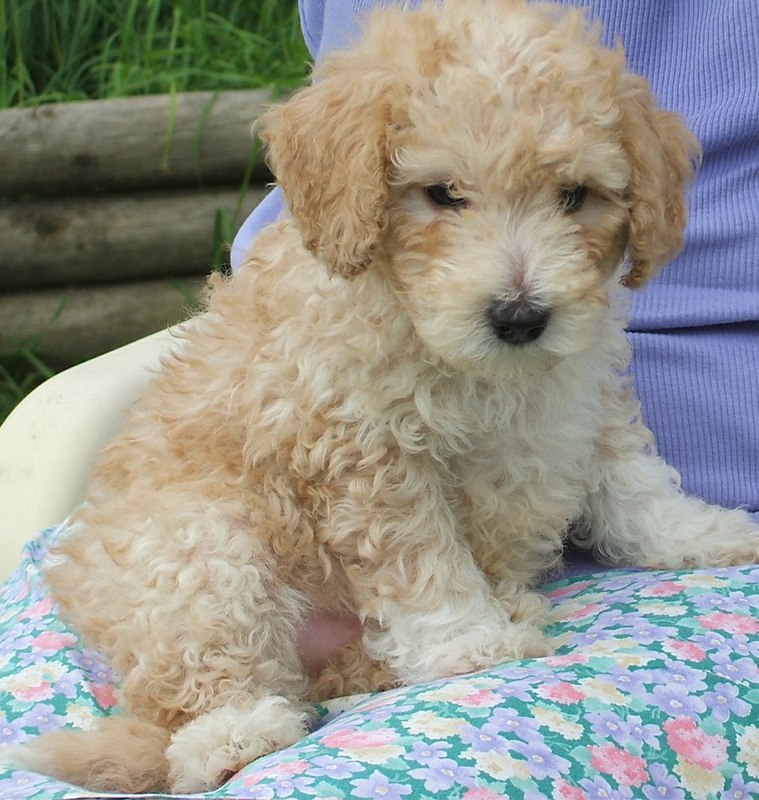 The breed median for a Poodle in the UK is 11, so only buy a puppy from parents whose scores are both under 11. The lower the better. Progressive Retinal Atrophy (PRA) is a genetic condition that leads to blindness in dogs. There is fortunately a DNA test for PRA, and you should ensure that both of your Poodle’s parents have had this test. The acceptable combinations of their DNA test results to have a puppy who has not inherited it are ‘both clear’, or ‘one clear and one carrier’. Von Willebrand’s Disease (vWD)is an inherited blood clotting disorder, which causes excessive bleeding. 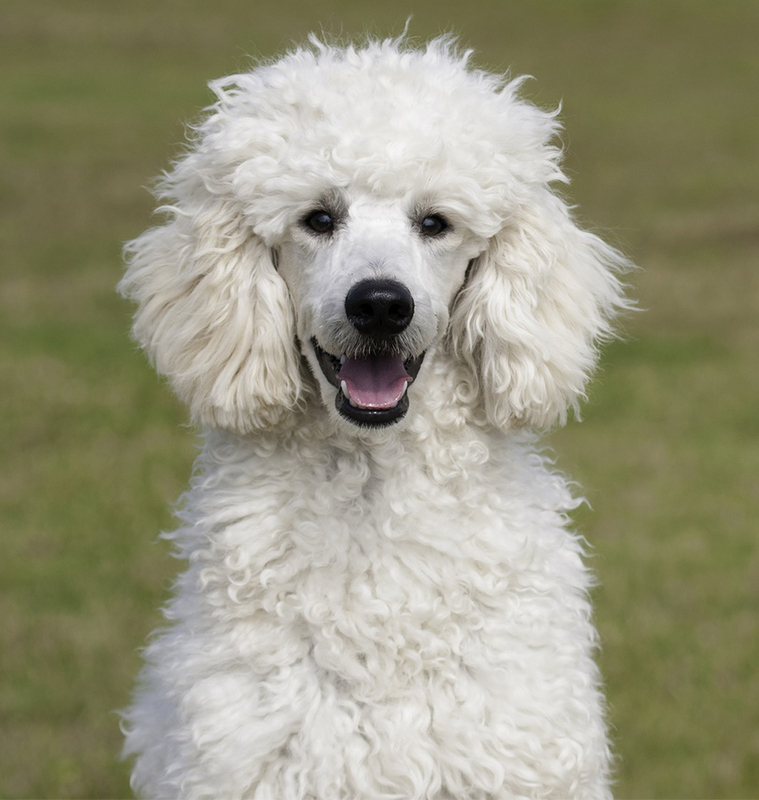 One of the breeds where vWD is most commonly seen is the Standard Poodle, so it’s important to ensure that both parents have had DNA tests for this disorder before you bring your puppy home. Bloat is a common issue in several large breeds of dog. It occurs when gas causes the stomach to become distended. To help avoid bloat feed your dog several smaller meals a day. In addition to this you can feed him at ground level and if necessary put his food into a slow feed bowl. There is no test for cataracts, but you can tell how healthy an adult dog’s eyes are with a veterinary eye test. Make sure that both parents have had eye examinations in the past year. The breeder should have certificates for these to show you. Idiopathic epilepsy is sometimes seen in Standard Poodles and is thought to have an inherited aspect. Therefore you should not buy a puppy with a parent or grandparent who has ever had a seizure. 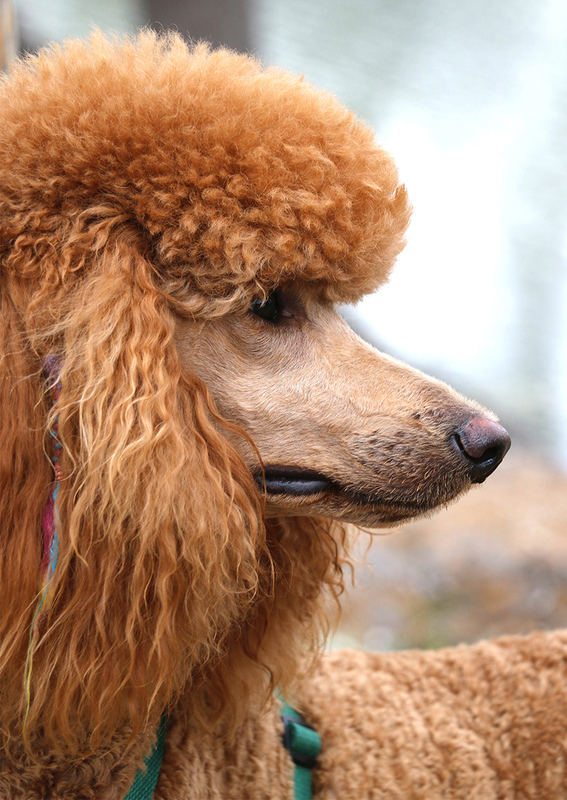 Sebaceous adenitis is an inflammatory skin disease that Poodles can sometimes be affected by. It can cause itching, hair loss, infections, blistering and scaling of the skin. There is not currently a DNA test for sebaceous adenines, therefore it is important to ask your breeder whether any dogs in the line had skin problems. If they did, then you will need to find another line to buy your puppy from. Addison’s Disease is an adrenal hormone disorder that causes problems with the dog’s blood composition. Symptoms can be quite vague and hard for the vet to diagnose, including being lethargic, having gastro-intestinal issues, a low temperature and pain. There is no current DNA test for Addison’s. You will need to ask about family history. Also known as Immune-Mediated Haemolytic Anemia, this condition occurs when the dog’s immune system destroys it’s own oxygen carrying red blood cells. It causes the dog to become lethargic, have abnormal breathing/pulse rates and to have pale gums when examined. There is no current DNA test for Autoimmune Haemolytic Anemia. You will need to ask about family history. There are several other health problems seen in Standard Poodles, which are rare but still need to be considered when looking at your potential puppy parents health backgrounds. These include thyroid disorders, adrenal gland disorders, liver shunt, juvenile renal disease, bushings disease, atrial septal defects and neonatal encephalopathy. Standard Poodles are a pedigree dog breed, and as such as subject to closed register breeding. This means that there are a limited number of dogs able to produce a limited number of puppies. Pedigree dogs with small populations like Standard Poodles will have greater problems with inherited diseases. The Standard Poodle club are currently funding new dna research to help with these issues, and you can make donations here. In the meantime, your best chance at getting a healthy puppy is to make sure that the available tests have been carried out on both parents, and to ask lots of questions regarding their family history to try and rule out the chances of the other conditions being passed along. The average Standard Poodle lifespan is around 12 years. 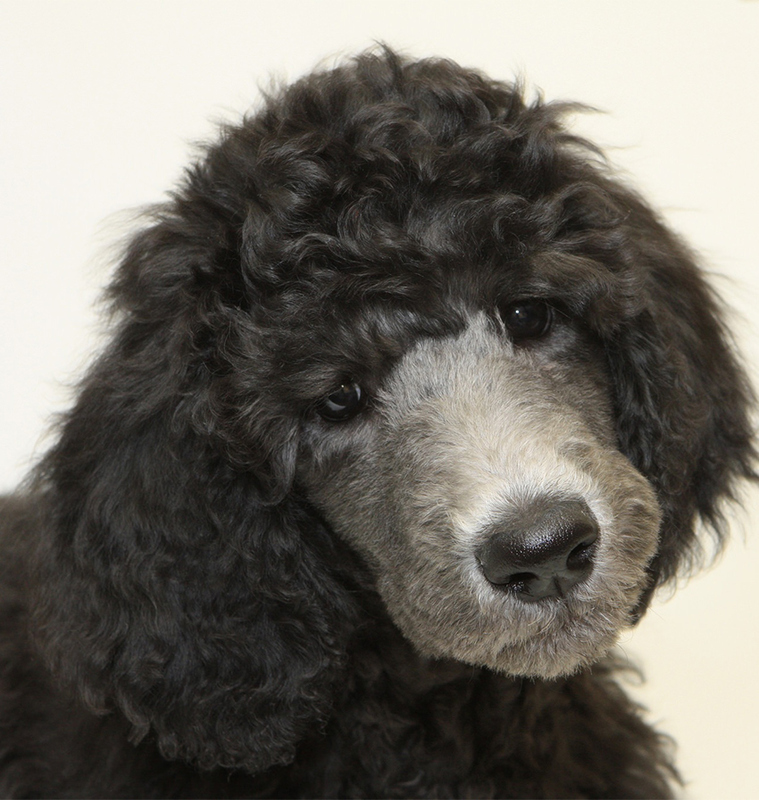 Standard Poodle puppies are all beautiful. When you are looking for your new companion, you need to keep reminding yourself of the important factors rather than being swayed by how utterly adorable they are. These are dogs that have the potential to be incredibly healthy or in serious trouble. The line between these vastly different qualities of life can be navigated by extreme vigilance when it comes to picking your Standard Poodle breeder. Ensure that you look closely at adverts which say ‘parents fully health tested’. This will often mean that the hip scores and eye tests have been taken care of, but not the vWD and PRA DNA tests. You need all the tests mentioned in the health test section to give your puppy the best chance at a health life. When you have found a breeder who fully health tests, you will probably have to go on a waiting list for a puppy. While you wait, arrange to meet the breeder and her dogs. Make sure that the parents are confident and laid back characters. You wouldn’t expect a Standard Poodle to be overly pushy with strangers, but they should have a relaxed wagging tail, open mouth and cheerful demeanour. All Standard Poodle pups are gorgeous. But when you visit your puppy’s litter they should also be alert, bright eyed and bold. Squirming over each other to say hello to you and have a play. Standard Poodle price ranges depending upon the breeder that you source your puppy from. In the USA you can expect to spend anything from $1,500 – $3,000 on a puppy from health tested parents. In the UK the average Standard Poodle cost ranges from £850 to £1,200. Health testing thoroughly and raising puppies with vet checks and good food are all costly. Remember that the price of a Standard Poodle puppy might seem high, but it is small in comparison to what you will spend on them over the course of your lives together. Standard Poodle mixes are very popular at present. The most common being Labrador Doodles, a cross between the Labrador and Poodle, and a Golden Doodle, a Golden Retriever Poodle cross breed. 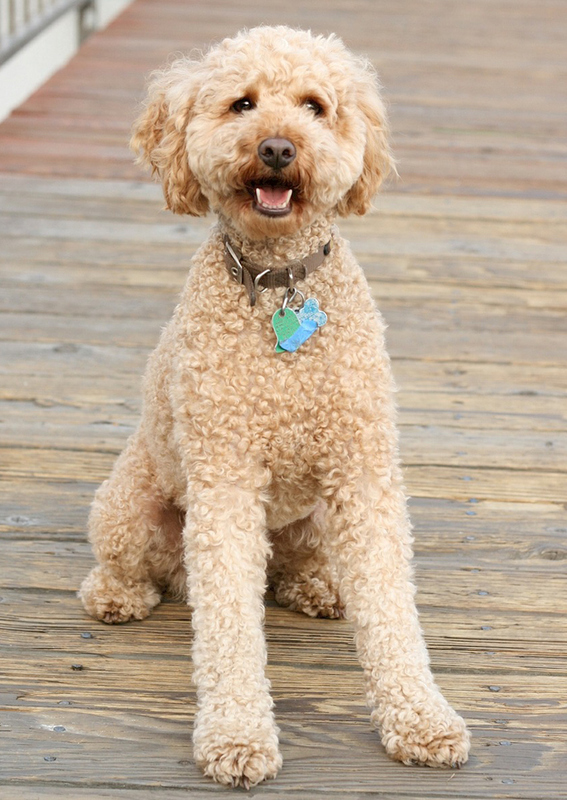 Labradoodles (Standard Poodle x Labrador Retriever) are very popular as pets. These dogs can make wonderful pets too, but you must be sure to research them as thoroughly as you would a purebred Standard Poodle. The parents must both have sets of health tests relevant to their breed. You should also be wary of any breeder who says their mixed puppy will be hypo-allergenic – whether a mixed bred Poodle has a non-shedding coat is random chance. If you want a non-shedding puppy then choose a pure bred Standard Poodle instead. Is A Standard Poodle The Right Breed For Me? Are you at home for most of the day? Do you love going out in the countryside? Have you got an active interest in positive reinforcement training for dogs? Do you want an active companion who will play hard outdoors but relax by the couch in the evening? Then a Standard Poodle could be just what you are looking for in your life. Be sure that you are willing to commit to regular training, exercise and a lot of grooming before you decide to bring a Standard Poodle in your life. Providing you do your research and buy your puppy from fully health tested parents, then you can hope to have a long and happy life together. Hi, we rescued a Standard Poodle at 9 months old. He’s beautiful and loving. He never bonded with anyone his first 9 months of his life so he’s very shy around other people and doesn’t like any loud noises. He didn’t even know how to play when we got him. We’ve had him about 4 months now and he’s still somewhat aloof with us. It’s just my wife and myself so there’s not a lot of commotion all the time. I take him on several short walks a day and he enjoyed them at first but now seems to be afraid to go for some reason. We take him to a dog daycare twice a week and he loves it. He loves others dogs and even the staff there. So now we are thinking about getting another dog. A smaller older dog to help teach him that everything is ok.
We are considering adopting a sweet black 1-1/2yo female Spoo. She had 9 puppies 8 wks ago so we can get her after 12/1. Our concern: The dog is very timid and nervous. We were told the dog bit a woman shortly after she had pups. The owner said the dog was terrified at the time – there were 2 litters of pups, the other female, several kids had run into the room). The owner is wanting to rehome this dog because a couple of the other dogs ‘pick’ on her. The home is chaotic with a large active family. There are 23 dogs in the home (2 litters =16 pups). We did introduce our 7 yo dog to her. Our Goldendoodle loves other dogs, is easygoing and calm. The Spoo was timid and clung to her owner’s side. She did relax some. Our household is very calm and it’s just my husband and me. We are concerned as to whether she will be able to grow out of her timidity and fearfulness. What is your opinion? Thank you. Hi Susan, Only you can make this decision but personally I wouldn’t risk getting a puppy from a parent with a questionable temperament. In your position, I would search for another litter, even if it means waiting a little longer to bring your puppy home. Wishing you all the best, Lucy. We have had four standard poodles and rescued three of them, all of which came to us at 10 months mainly because of their intelligence and that they are strong willed and stubborn. All of the dogs came with questionable temperaments, one had been beaten and starved and showed aggression due to being hand shy which disappeared within a month of us raising our hands and bringing them down to make the biggest fuss of the dog – he soon realised the only raised hand he would ever see again was one that gave a big hug or stroke and due to the Standard being such an intelligent dog and with patience and kindness the true personality shines through, you can teach an old and a new dog new tricks !!! Hi Mina. Just came across your articleand I’m sorry to say that you have to live in a country that does not have any control on animal welfare. It would break my heart to have that around me. Thanks for the information on Std. Poodles. I would add that the breed doesn’t do well in households where there is a lot of conflict–verbal or physical–and that being in a household where people raise their voices or are angry a lot most likely will make your dog ill, nervous, and exhibiting anxious behaviors or suffering from digestive problems. I love the breed–they are so intuitive as to seem clairvoyant.